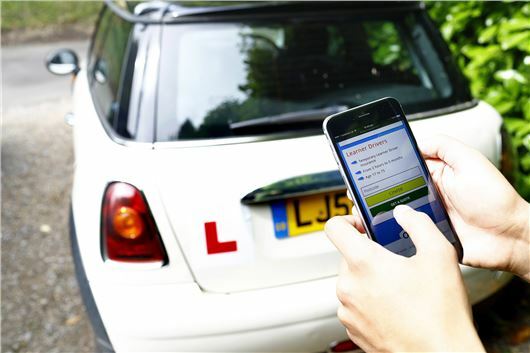 Learner Drivers can be insured as additional drivers on a previously insured car from as little as £38 a week. Dayinsure specialises in online, short-term vehicle insurance and Dayinsure Learner allows learners to legally practise driving a borrowed (already insured) car. It is available to any permanent UK resident aged 17 and 75 with a current provisional UK driving licence, from as little as two hours all the way up to five months. Each learner must be accompanied by a qualified driver aged between 25 and 75 who has held a full UK licence for at least three years, and cover is available daily from 6am until 10pm. The car must be UK-registered, unmodified and insured under a separate annual motor insurance policy, with a current market value of less than £30,000. Dayinsure’s flexible pay-as-you-go prices come in as low as £38 a week, £66 a month or £226 for five months. The excess is just £250, with comprehensive cover provided by Aviva, and any unused premium refunded, less a small cancellation charge, if the learner passes his or her test ahead of schedule. All cover protects the No Claims Discount of the car's annual policyholder, meaning no nasty surprises or unsolicited credit card bills in the event of a prang. Dayinsure caters for a wide variety of temporary vehicle insurance needs, from borrowing a van to move house, using a mate’s estate car to go on holiday or even using your smartphone to put a sober friend on your insurance if you’ve had a few too many at the pub and don’t fancy getting a taxi home. In addition to UK licence-holders, Dayinsure can cover customers who hold a full EU, EEA, Australian, New Zealand, South African or Swiss driving licence. There are no add-ons or hidden costs, and all Dayinsure Learner policies are underwritten by Aviva and its claims-handling department.